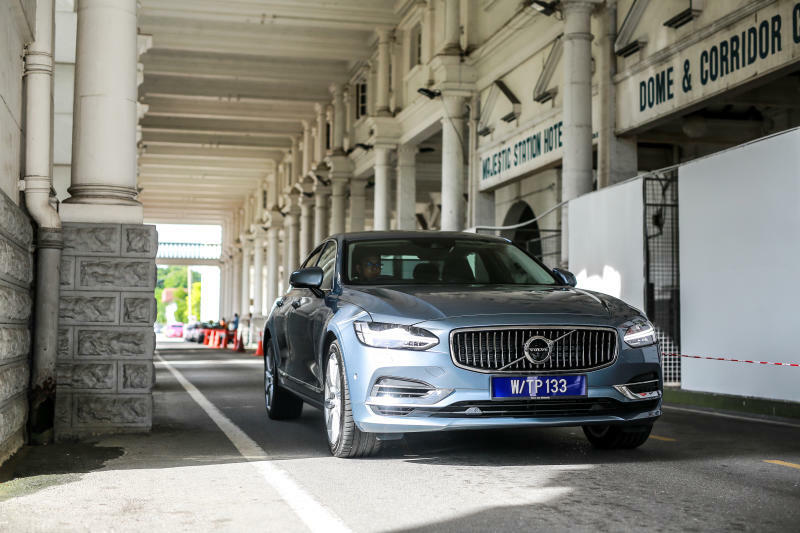 Just before the Volvo S90 T8 sedan was officially launched, a drive event was organised for members of the media, starting from Subang Jaya, Selangor and we made our way north to the city of Ipoh, Perak. 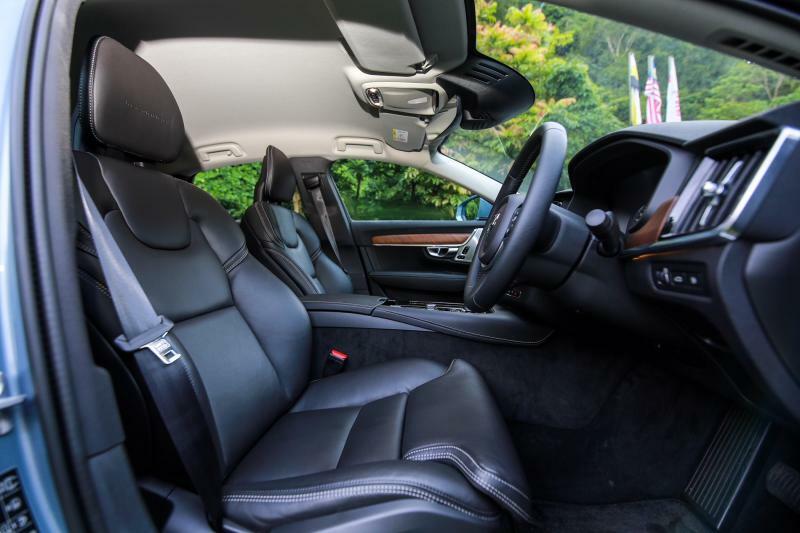 This was a chance to sample the car, which is very much a “new kid on the block” positioned against the German competitors in the luxury sedan segment. Having more options as a buyer is always welcome to the consumer. 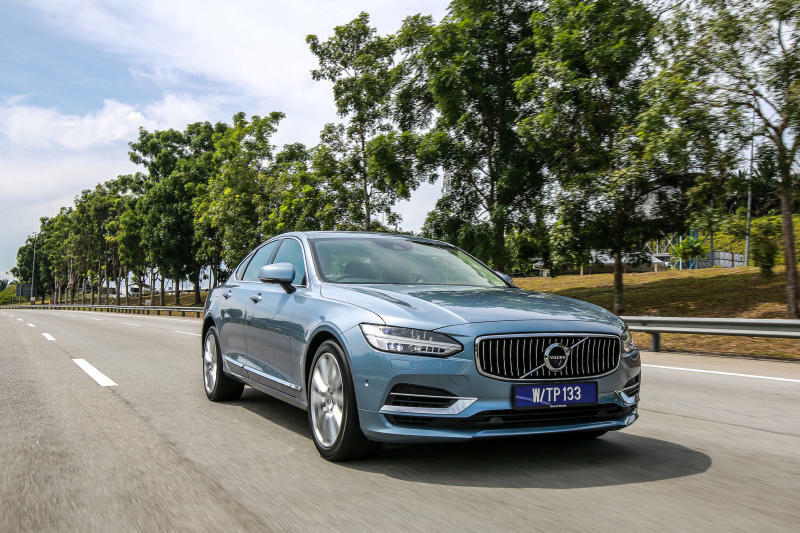 But in a segment which has been largely dominated by German marques in the Malaysian market, does the new S90 have what it takes to compete? 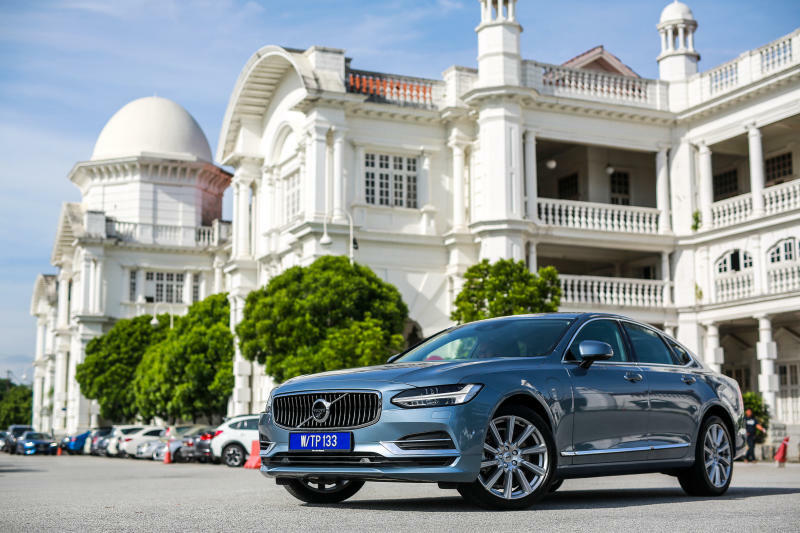 The S90 T8 is available in two variants – Inscription and Inscription Plus – with a price of RM368,888 for the former and RM388,888 for the latter. All prices are on-the-road without insurance. 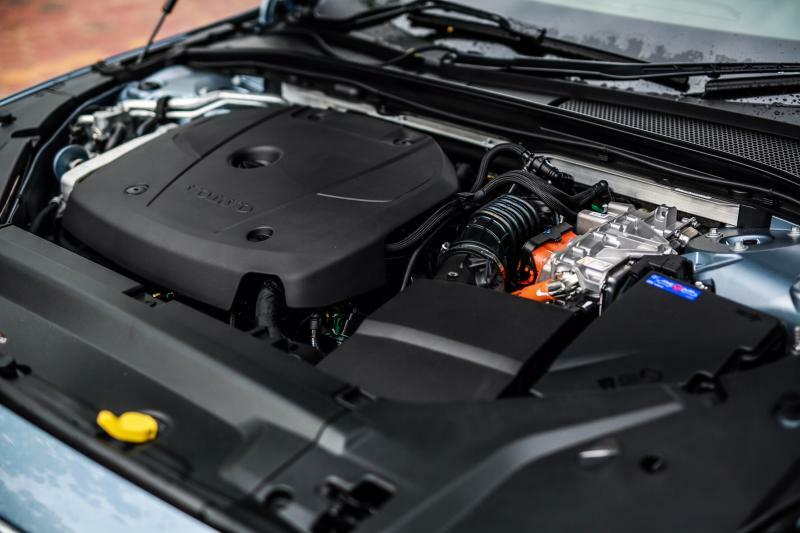 When it comes to innovation, Volvo has taken its own path with its powertrain design combining a turbocharged-and-supercharged petrol engine and an electric motor. You may argue that it’s just another hybrid powertrain make-up. 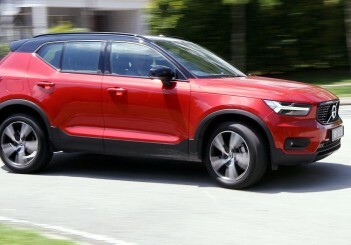 While that may be the case, the difference here is the dedicated task of each engine – the petrol mill drives the front wheels and the electric motor, the rear. Each engine can be used separately and also combined. 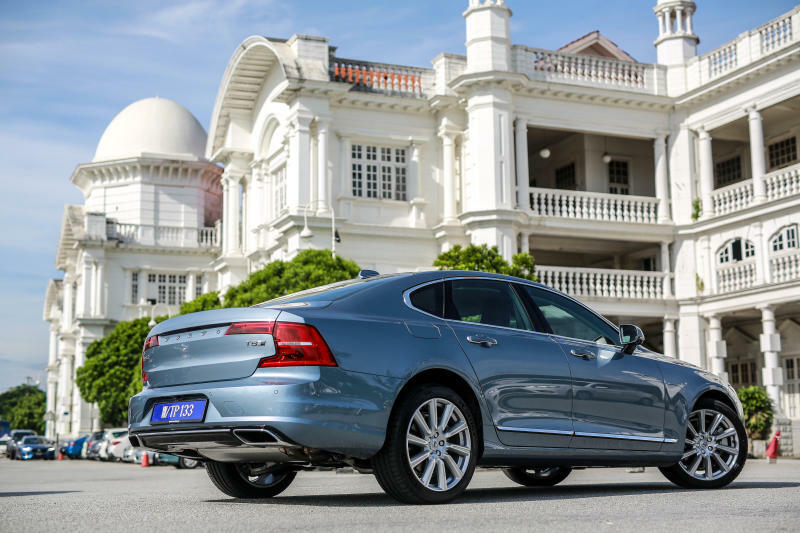 As such, the S90 T8 sedan can be described as a front-wheel drive, a rear-wheel drive and an all-wheel drive car depending on what drive mode it is in. The combustion engine consists of a 2.0-litre four-cylinder Drive-E engine which produces 320hp and 400Nm of torque, mated to an 8-speed automatic transmission. With both engines combined, the output is rated at 407hp and 640Nm. With such numbers, it is obvious that there is no lack of power and takes only 4.8 seconds to go from 0-100kph. This hybrid powertrain has a battery unit, in this case a 10.4kWh rated lithium-ion battery, to power the electric motor. As more components are needed than a ‘normal’ vehicle with just a combustion engine, space becomes an issue and compromises have to be made. The usual suspect in most other hybrid cars is the boot where luggage space is reduced to accommodate the placement of the battery. Not so with Volvo. The Swedish marque devised its Scalable Product Architecture (SPA) which places the hybrid battery in the tunnel of the car. This design improves its handling and, should a collision occur, the battery is well protected due to its placement. As for safety, Volvo has a history of innovative safety features such as the three-point seatbelt which is a Swedish invention and was used in a Volvo car all the way back in 1959. 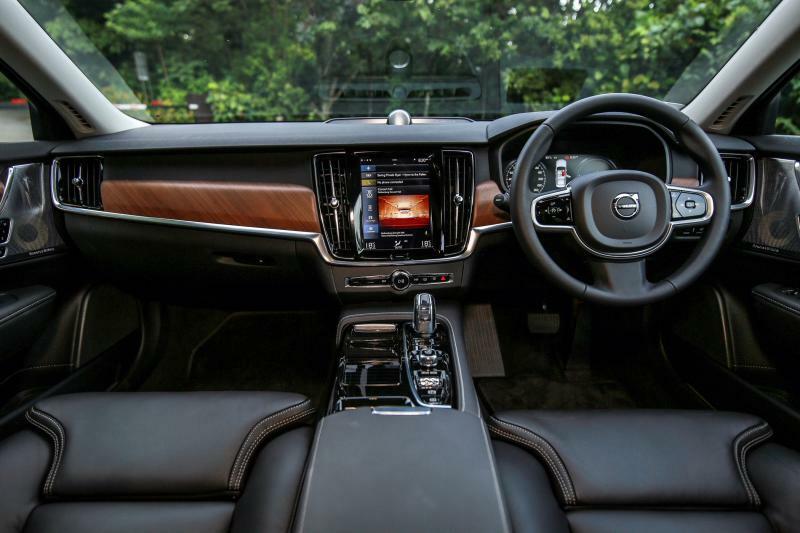 Fast-forward to today, and the S90 is equipped with IntelliSafe technology which keeps you safe with automatic breaking functionality, collision avoidance and mitigation as well as a 360 degree surround view camera, blind spot information with cross traffic alert and lane keeping aid among others. Innovation aside, it is also important that the car is pleasing to the eye. Advanced technology alone will not compensate for a vehicle which is uninspired to look at. 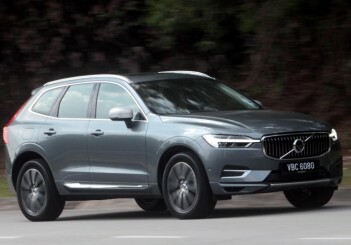 In this regard, Volvo has designed a sedan worthy of its Swedish aesthetic. There is no disparity between the two variants design-wise. Also, there is no mistaking the S90 with other continental carmakers. It is long, low and sleek with clean lines on the body with a lean yet subtle muscular creases on the hood. The front fascia exudes an air of class with its concave, vertical-slatted grille and the striking Thor’s Hammer LED headlights. The rear however, looks a bit busy by comparison and this is my only complaint of the car but in no way is this a deal-breaker. 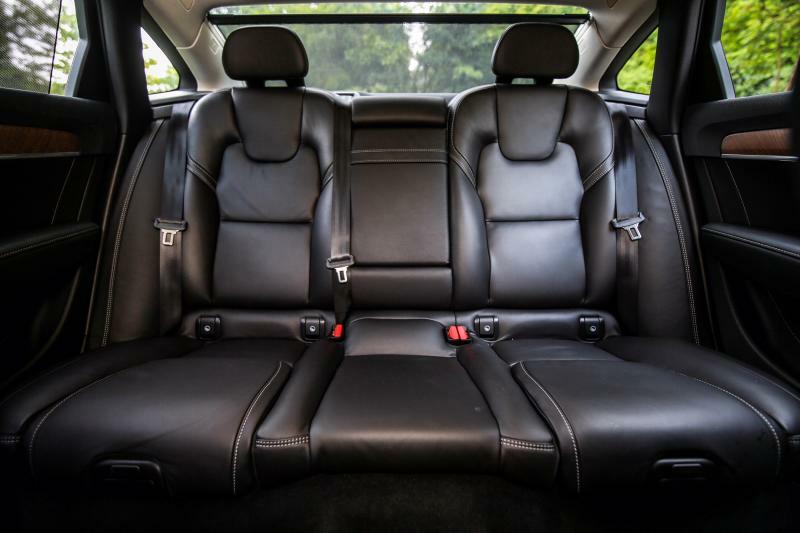 This is because you are going to be spending a lot of time in the car and the cabin is a refined compartment to be in covered in fine black Nappa leather upholstery with open-pore Walnut wood trim on the dashboard and doors. It has tall, vertical air vents and the equally tall nine-inch centre display screen which is user friendly, elegant and contemporary to navigate and use. The centre console is like an open jewel case with the gear shaft in the form of an illuminated crystal made by Orrefors, a Swedish glassmaker, followed by a ‘jewel stone’ shaped twist start button (it’s not a push start here) and a knurled, flat cylindrical knob to operate the Drive Mode. While the Inscription comes with a High Performance 10-speaker audio system, it is the Inscription Plus which exudes more luxuriousness with the Bowers & Wilkins premium sound system with 19 speakers, 12-channel, 1,400 watt Class D amplifier. 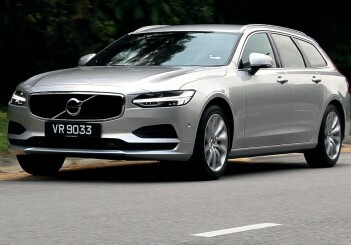 We drove both variants of the S90 and it is smooth, quiet and powerful. It was hard to distinguish one from the other but the Inscription Plus does come with Air Suspension. I liked the option of having to choose between front, rear and all-wheel drive and I distinctly preferred all-wheel drive for its power, sharp steering and handling. 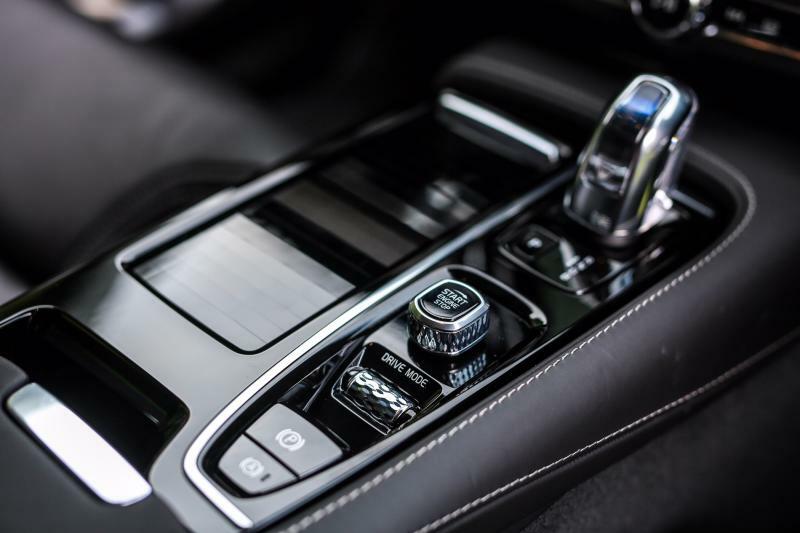 If you are looking for something different and refined in this segment, you have found it with the S90 T8.